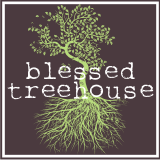 Blessed Treehouse: Golf is dumb. And I'm always right. Plus, I like proving my point. Just another opportunity for me to say, "Hey, honey, I'm always right. Golf is dumb." Oh, and if my son ever asks to play one of those sweat-on-the-court or blood-on-the-field sports, I'll surely say, "no, baby, but you can play golf." Because what mother, in her right mind, would want her baby to get hurt? Yep. how many hours of that excitement can you possible stand? Of course, there are the Cialis commercials to break up the monotony.